School might be over, but the learning continues. Learning never stops at Academie de la Capitale! Every summer, we open our doors to everyone by offering 2 different summer day camps: a S.T.E.A.M. camp for ages 4-9 and a coding for children in grades 3 and up. Our camps combine indoor learning activities and outdoor play. As part of our weekly programming, we engage campers in jiu-jitsu once a week. The day camps operate from 9:00 am to 4:00 pm, Monday to Friday (except on holidays), with a morning and afternoon supervision option that allows for drop offs as early as 8:00 am and pickups as late as 5:30 pm. We offer Monday pizza and Tuesday-Friday hot lunch options as well. AcadeCamp is an innovative, science-themed summer programme allowing campers ages 4-9 to experiment, ask questions, and get messy, tout en français. Science, Technology, Engineering, Architecture and Math (S.T.E.A.M.) demand inquiry, connection, experimentation and exploration. Each week, the Friday Afternoon Project Showcase challenges AcadeCampers to find an innovative way to summarize and present what they have learned in S.T.E.A.M. For mastering S.T.E.A.M. skills and showing positive attitudes, AcadeCampers collect stamps which are added to their complementary AcadeCamp T-shirts. Themes this year include: ecology, entomology, mathematics, entrepreneurship, and logic. For more information about the weekly themes, please click here. 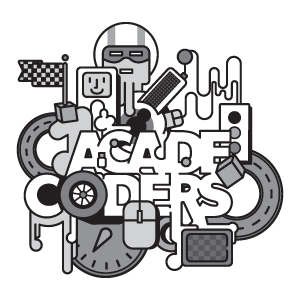 AcadeCoders offers multiple streams for young coders and game developers grades 3 and up. Each week will feature different topics: coding with Python, foundations of web development, and game development, for a total of 8 weeks. Our curriculum is developed by the AcadeCap S.T.E.M. team and will be delivered by our resident “Game Master”. Each day will involve learning new concepts, working on projects, and outdoor activity for a well-balanced camp experience. For students with reading and writing difficulties, we offer Orton Gillingham-based multisensory teaching sessions, in addition to the activities provided during our AcadeCamp or AcadeCoders sessions. The OG multisensory teaching sessions will be offered for 1 hour, 5 times a week (4 times a week during holiday weeks), and the participant must register for at least 4 weeks, or preferably all summer, in order for the programme to be effective. If a student has not been evaluated previously, pre- and post- testing will be provided. With the Orton Gillingham approach, a student learns using the visual, auditory, kinesthetic, and tactile senses simultaneously. The OG multisensory teaching sessions will take place within the 9:00 am – 4:00 pm camp day. For more information regarding summer reading enrichment, kindly contact Mary at 613-721-3872 or email us at info@acadecap.org. AcadeCamp and AcadeCoders offers a weekly lunch program that includes 2 pizza slices on Mondays (on 5-day weeks) and catered hot lunches from Tuesday to Friday by Dial-A-Chef. Kindly click here to view a previous summer camp lunch program menu. The 2019 menu will be announced shortly. 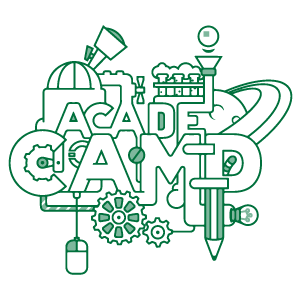 For more information about AcadeCoders and AcadeCamp, please contact us at info@acadecap.org. Kindly download our registration forms for pricing information.